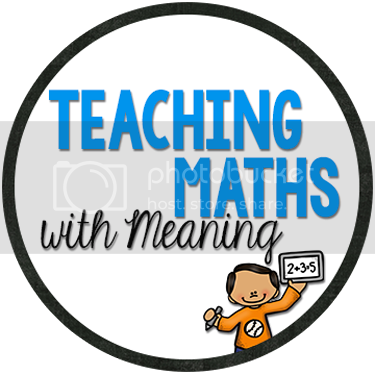 In Victoria we are into our second week of our Spring school holidays - it is sad that one week is down - we still have one week to go and so many possibilities for this week! Usually my school holidays are filled with visits to my family and my Grandma, all of which I have already done, as well as a trip to New Zealand! My lovely and I did an impromptu trip, booking our tickets on the last day of school before break! New Zealand is the natural stop for Australian's on their way to the USA so I had been to the airport many times, but never out. And I must say I was soooooo glad to only have a 4 hour flight for this holiday rather than another 13 on top of that! If you want relaxing, New Zealand is the place to go. It's quiet, everyone is so friendly, it is so easy to get around and so much to do. Some parts of New Zealand reminded me of Hawaii (although obviously not as hot) and other parts of Northern California. It was beautiful and just what we both needed. Here are some happy snaps. 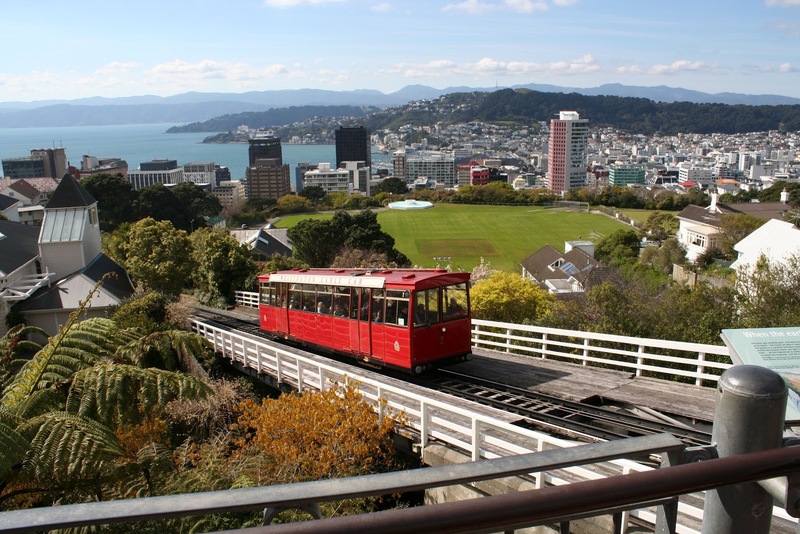 Wellington was like San Francisco, complete with it's own little cable car! 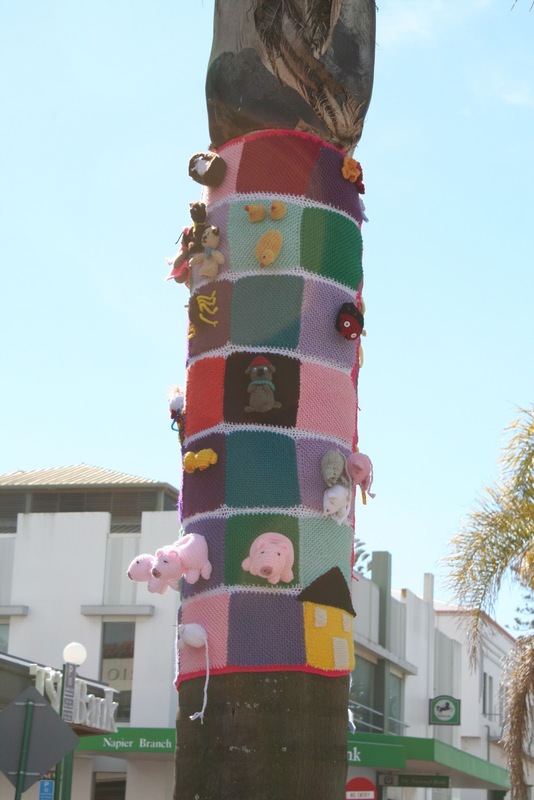 Napier was devastated by an earthquake in 1931 - it was rebuilt in the 1930's Californian style - beautiful! Not sure what the tree cosy was for, but it was cute! The mud pools at Rotorua were a bit smelly! 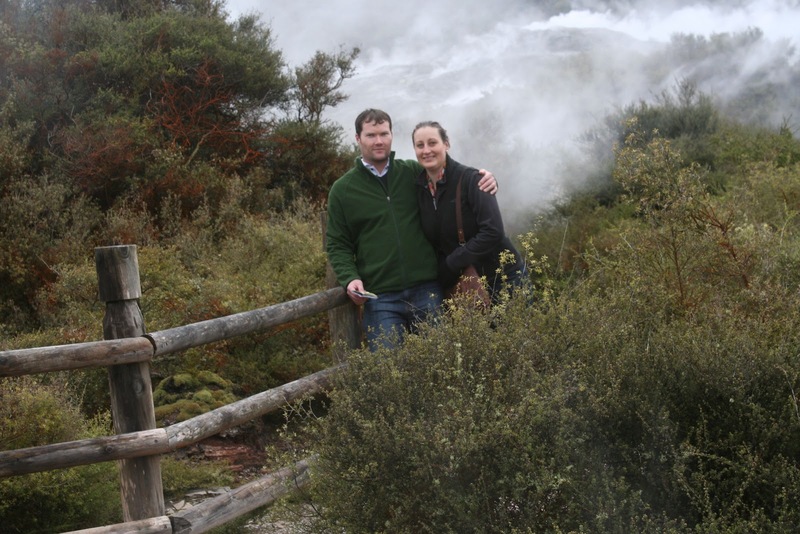 At the Thermal Hot Springs - the geyser here was amazing! Every teacher needs an half hour session in 38 degrees C (108 F) mineral springs water just to relax! 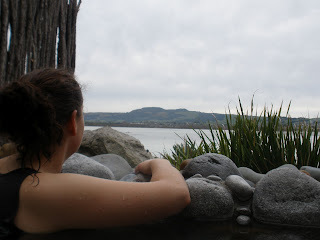 Especially when it is a private spa overlooking Lake Rotorua - needless to say, we went back again the next day! So now I have a week to get stuff done at home - perfect! I'll have my 100 followers giveaway up and going later in the week so make sure you call back and enter, there are some great prizes! Oh that's lovely! How nice that you can recognise me through pinterest! Oh Alison, I wish I could be as spontaneous as you but I have this little creature in my head that has to have everything planned! Sounds like you've had an awesome time! Haha! I usually plan everything too Kylie - it was hard to just go with the flow but we got there! We had to take the opportunity to go on a holiday while we could! Thanks for stopping by my blog. I too get excited to meet Aussie bloggers. There are not very many of us. I've been to New Zealand and loved it especially the South Island. 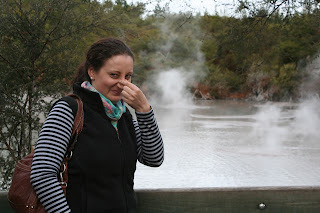 You are right the smell at Rotorua is 'on the nose' but the mineral springs are very relaxing. Just what you need to recharge the batteries for Term 4. Enjoy the rest of your holidays. The mineral springs are lovely! 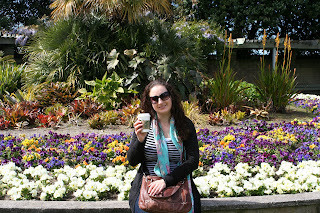 Rotorua wasn't that bad once we got used to it! Thanks for stopping by my blog and commenting!